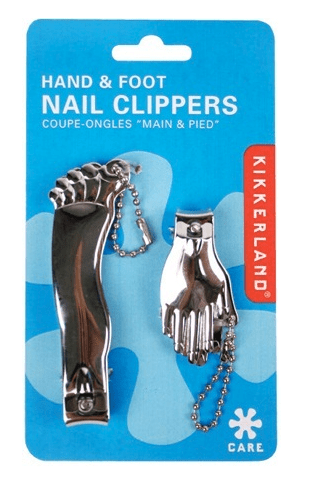 These nail clippers not only help make you look good, but they're in a trendy design too!! Comes with a set of hand and foot nail clippers. Hand approx. 2 inches long, Foot approx. 3.25 inches long.